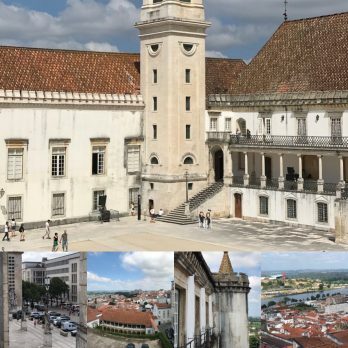 One day prior to the 15th Annual EAS Conference, the 2nd meeting of the EU project EMPATIA, more information see here: https://www.empatiasport.eu/about, takes place in the University of Coimbra. 15 representatives of each project partner meet in the historical “Biblioteca Geral” on top the University’s campus to discuss the actual project status and till now collected data, for example from the literature review. In addition to that, the group discussed the next research design based on the results of the focus group studies. on behalf of the EAS Executive Committee and the local Executive Committee of the EAS ANNUAL CONFERENCE 2018 in Coimbra / Portugal (12th – 14th September, 2018) I`d like to inform you about this program, which includes the EAS General Assembly 2018. The EAS General Assembly will be held at Friday 14th from 9:00-11:00 am in the Science Museum of the University of Coimbra, Portugal. Attached you can find the programm (Scientific Programme EAS 2018 COIMBRA) of the conference and as well the agenda (180825_Agenda – GA in Coimbra) for that General Assembly. By the reason that this years GA will see elections for the new board working period 2018-2022, I will give you a brief information about membership rights and duties as written in the statutes. Members shall be expected to uphold the principles and ethos of the European Athlete Student, the dual career network as contained in its Statutes and agree to abide by the EAS Statutes, Bye-Laws, Policies and Procedures. Members are institutions who have been accepted into membership by the Board. Honorary [ndividual Members: appointed from time to time by the General Assembly on the recommendation of the Board. Honorary members are appointed in recognition of their exceptional merit or service to EAS. Honorary members shall have the same rights as Full Members, and may attend Executive Board meetings, unless otherwise stated in these Bye-Laws. Institutional members are such organizations as the Board of EAS may from time to time recognize . They may include International, National or Regional Athlete Student Associations, Federations or Organisations; Universities; Sport Organisations; Federations or Councils; Olympic Committees; Local Government sports departments; and suitable other properly constituted bodies . All applications for membership shall be subject to approval by the Board. The Board shall cause a response to be given within 60 days of receipt of an application to indicate whether the application has been accepted. An institution does not become a member until the application has been accepted and the membership fee for the current year has been paid in full. The Board shall maintain a register of names and addresses of all the members at all times . All members, except honorary members shall pay an annual membership fee. Membership fees shall be determined from time to time by the General Assembly, on the recommendation of the Board. If a recommendation is not approved, or no recommendation is presented, then the existing fees shall continue to apply. The membership year shall be from the end of the Annual General Meeting of the General Assembly to the end of the next Annual General Meeting . only enrolled members are allowed to vote during the General Assembly. Membership was informed by Website and Facebook in January about the procedure . 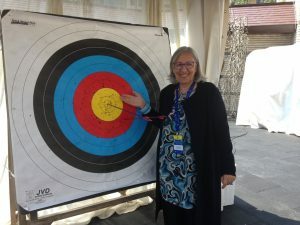 Students, university sports managers, representatives of international sport and non-sport federations, organizers of major FISU events, academic speakers, and FISU Family members. In particular, EAS President, Prof. Laura Capranica and the Director of UK TASS, Guy Taylor, addressed the assembly on dual career issues. 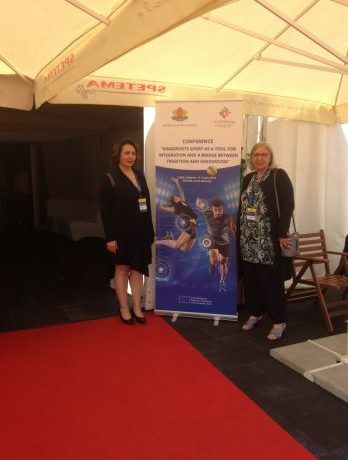 On June 12-13, 2018, EAS has been invited to the European Conference “Sport for All as a means of integration and a bridge between traditions and innovation” held in Sofia, Bulgaria. The Conference has been organised by the Ministry of Youth and Sports and co-funded under the Erasmus+ programme. If you want to learn more about what is going on in the field of Dual Career and what EAS is involved in actually, join the 15th EAS Conference, which will take place in Coimbra/Portugal from 12th to 14 September.